February 5, 2019 (CHICAGO) — Hyatt brings its nationally acclaimed Miraval spa and wellness brand to Austin, Texas with the opening of Miraval Austin. 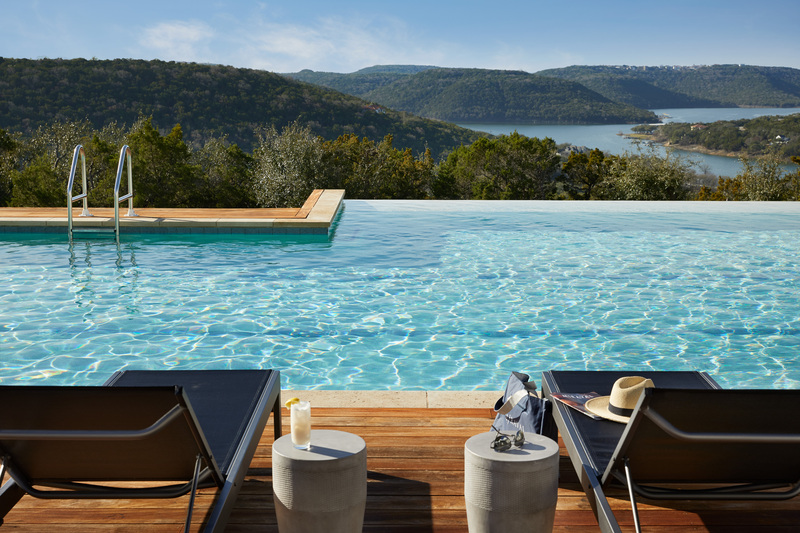 Set on 220 acres of picturesque land overlooking Lake Travis, Miraval Austin is the brand’s second wellness resort to open outside of its flagship property in Tucson, Arizona. Offering 117 beautifully appointed guestrooms and suites, a serene Life in Balance Spa, a 10-acre farm and ranch and a state-of-the-art Life in Balance Culinary Kitchen, Miraval Austin combines the celebrated Miraval Arizona experience with groundbreaking new treatments and wellness programs that pay homage to Austin’s rich cultural heritage and breathtaking natural surroundings. Miraval Austin’s 117 guestrooms and suites designed by award-winning firm Hart Howerton are relaxing havens built in harmony with nature. 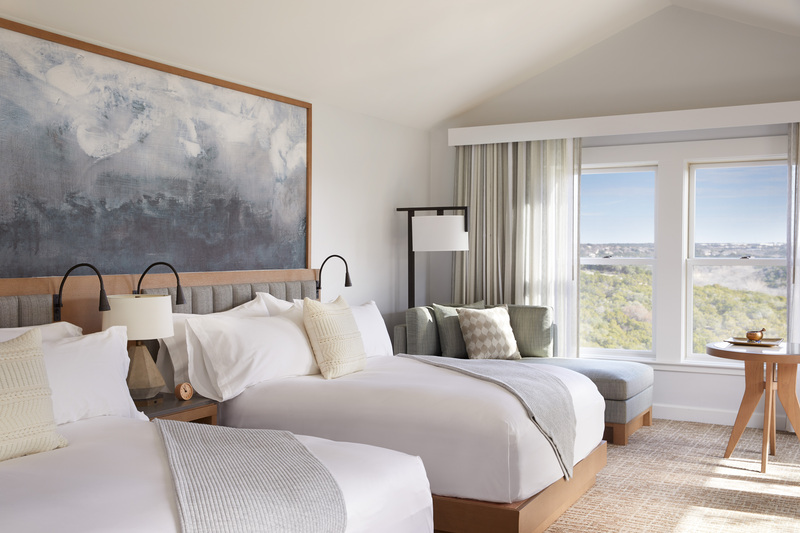 Using a soft neutral color palate, guestrooms combine bespoke furniture, specially-selected fabrics and local, hand-crafted accessories and art to create a restorative atmosphere. In keeping with the Miraval brand’s ethos, the rooms have been designed to enhance guests’ sleep experience with Miraval bedding, black out shades and sleep-enhancing amenities, including Miraval’s signature cell phone sleeping bag. Each room will also feature a selection ZENTS’ all-natural bath amenities in large-format, reusable bottles to further reinforce the brand’s commitment to sustainability. Conceptualized by renowned designer Clodagh, the Life in Balance Spa at Miraval Austin draws inspiration from the surrounding Balcones Canyonlands Preserve to create a serene environment that promotes relaxation, balance and a sense of wellbeing. The 20,000 square foot Life in Balance Spa boasts 30 treatment rooms, a spa pool, relaxation rooms, salon, sauna, steam room and spa retail boutique. To enhance the spa experience, the Life in Balance Spa at Miraval Austin worked with acclaimed organic skincare company, Laurel, to create a petal pecan mask inspired by the on-property farm. Miraval Austin and Laurel have also created an exclusive spa treatment, the Spiritual Warrior Facial, that utilizes energies of plants and gemstones to bring guests on a spiritual facial journey. For those looking to open their mind, body and soul, Miraval Austin’s team of highly regarded specialists have designed an extensive menu of integrative wellbeing offerings that span fitness, yoga, meditation, culinary, nutrition, and art. Those seeking inner peace can enjoy a variety of yoga and meditation practices such as Crystal Meditation, which aligns the body with the energy of the earth and Qoya, a women’s movement practice that combines yoga, breathwork and intention setting. Home to Miraval Austin’s fitness classes, the 5,000 square foot Body Mindfulness Center features cutting-edge Technogym equipment and a fitness studio for activities including Cardio Drumming, Bosu Blast and spinning classes. Developed at Miraval Arizona over 20 years ago, the brand’s famed equine programming will also be central to the Miraval Austin experience. The Cypress Creek Ranch at Miraval Austin offers an expertly developed curriculum that expands upon Miraval Arizona’s original programming with new workshops. At the core of Miraval Austin’s culinary program is the 10-acre Cypress Creek Organic Farm that provides fresh produce for the property’s kitchen and spa and is home to many of the property’s interactive culinary programs. Miraval Austin also features an innovative Life in Balance Culinary Kitchen outfitted by Williams Sonoma. Like at Miraval Arizona, the stunning demonstration kitchen hosts healthy cooking classes and workshops, including Plant-Based Cooking, Conquering the Blade, Restoring Bone Broth and Wheat-Free Baking. In keeping with the Miraval brand’s commitment to serving real, local food, and Hyatt’s overall commitment to Food Thoughtfully Sourced, Carefully Served, Miraval Austin’s signature restaurant, Hilltop Crossings Kitchen, offers a hand-crafted menu of healthy, Texas-inspired dishes created from ingredients sourced from the property’s farm and local purveyors. The resort also offers the Discovery Pool Café and The Nest, Miraval’s signature smoothie bar offering coffee and smoothies during the day and mindful craft cocktails and light bites in the evenings. The Preserve Provision Company, Miraval Austin’s retail outlet, brings Austin’s rich cultural and artistic heritage to guests by offering a hand-curated selection of art, jewelry, clothing and skincare products sourced from local artisans and craftsman. Hyatt acquired the Miraval brand in January 2017 as a key step in Hyatt’s strategy to engage with high-end travelers in more ways beyond traditional hotel stays and to further complement its existing wellbeing offerings. Miraval operates as a standalone brand within Hyatt’s portfolio adding to Hyatt’s core purpose to care for people so they can be their best. Miraval is a global leader in wellness resorts and spas. Opened in 1995, Miraval Arizona in Tucson, AZ, pioneered the destination wellness spa resort category with its comprehensive program of activities, experiences and personal treatments. Miraval Life in Balance spas opened in April 2016 at Monarch Beach Resort in Dana Point, CA, and in November 2017 at Park Hyatt St. Kitts Christophe Harbour. 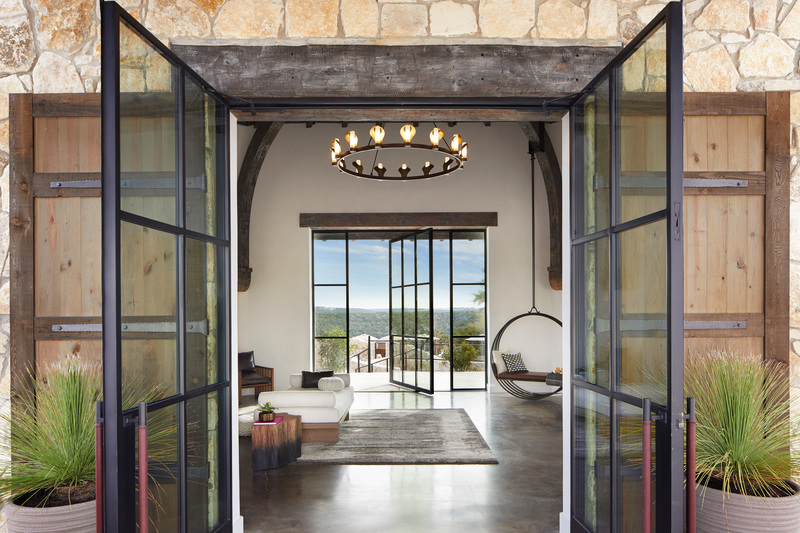 In February 2019, Miraval Austin opened as the brand’s first wellness resort outside its flagship in Tucson. A new Miraval resort is expected to open in Lenox, MA in 2019 and will offer the full Miraval resort experience. Hyatt Hotels Corporation, headquartered in Chicago, is a leading global hospitality company with a portfolio of 14 premier brands. As of September 30, 2018, the Company's portfolio included more than 750 properties in more than 55 countries across six continents. The Company's purpose to care for people so they can be their best informs its business decisions and growth strategy and is intended to attract and retain top colleagues, build relationships with guests and create value for shareholders. The Company's subsidiaries develop, own, operate, manage, franchise, license or provide services to hotels, resorts, branded residences, vacation ownership properties, and fitness and spa locations, including under the Park Hyatt®, Miraval®, Grand Hyatt®, Hyatt Regency®, Hyatt®, Andaz®, Hyatt Centric®, The Unbound Collection by Hyatt®, Hyatt Place®, Hyatt House®, Hyatt Ziva™, Hyatt Zilara™, Hyatt Residence Club® and Exhale® brand names. On November 30, 2018, the Company expanded its hotel and resort portfolio with the inclusion of the Alila®, Destination®, Joie de Vivre®, Thompson Hotels® and tommie™ brands. For more information, please visit www.hyatt.com.